Underground: Silent Film Screening in Park Cinema Flame Towers buy tickets online. Delivery of tickets for the event Underground: Silent Film Screening. 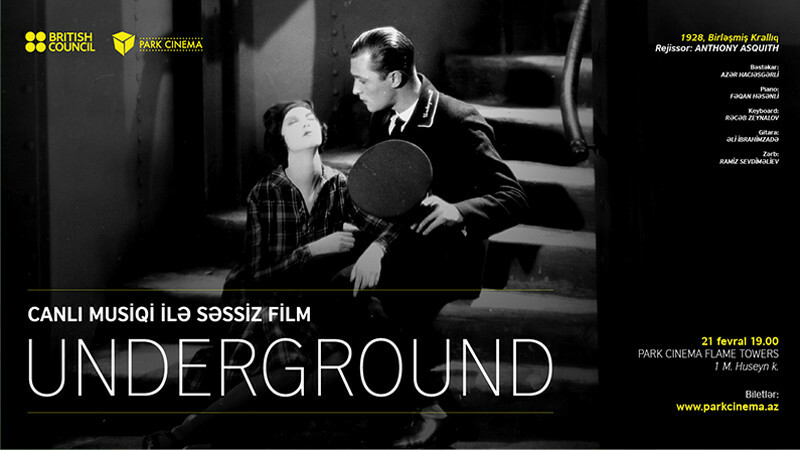 British Council is delighted to announce the screening of "Underground", a 1928 classic by British film-maker Anthony Asquith, on 21 February, 19.00, at Park Cinema Flame Towers. This will be a first-ever silent film screened for Azerbaijani audience - complete with the original live music composed by the British Council's Envision Sound 2019 finalist Azer Hajiasgarli and performed by five up-and-coming music talents. "Underground" will kick-off the British Council's cinema season in Azerbaijan, delivered in close collaboration with Park Cinema. British Council is committed to the mainstreaming of Equality, Diversity and Inclusion, which is the unifying theme for this year's cinematic showcase.